Don’t get me wrong – I know trade shows take a lot of work, and the costs are high. But trade shows get you face-to-face with qualified buyers for much less than the cost of direct selling — value you can’t get anywhere else. Those same two trade show producers also know trade shows work, because they witness the difference between unmotivated and successful exhibitors at their shows. Traci Browne even took pictures. 1. 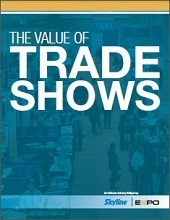 How do you select the trade shows you exhibit at? A) Even though you grumble that they aren’t as good as they used to be, you still have the same trade shows on your schedule, because that’s where your competitors are, and your absence would make you look bad. B) You choose shows based on where your target market will be, and willingly readjust your show schedule and booth size based on the ROI from each show’s leads. 2. How do you choose your trade show booth staffers? A) You bring your drinking buddies with you, so after standing around all day waiting for the show to end, you at least can go bar-hopping together. B) You pick staffers that actually want to staff the booth, who are approachable, client-focused, with good product knowledge and a great attitude. 3. How proactive are you at getting traffic into your booth? A) You shouldn’t have to do anything special to get attendees to cross over from the aisle into your booth, because you already paid the show to deliver those interested buyers to you. B) To transform trade show attendees into booth visitors, you sent intriguing pre-show promotions with valuable offers, designed your trade show display with bold, compelling graphics, and trained your booth staffers to engage visitors in the aisle. 4. How do you spend your time in the booth? A) Because you already are so sure that trade shows are a waste of time, you spend your booth staffing shift on your laptop, smart phone, talking with your fellow booth staffers, or wandering away from your booth space. B) You know trade shows deliver a quality audience, so to welcome them you stand smiling attentively on the edge of the aisle, ready to engage attendees who show some interest. 5. 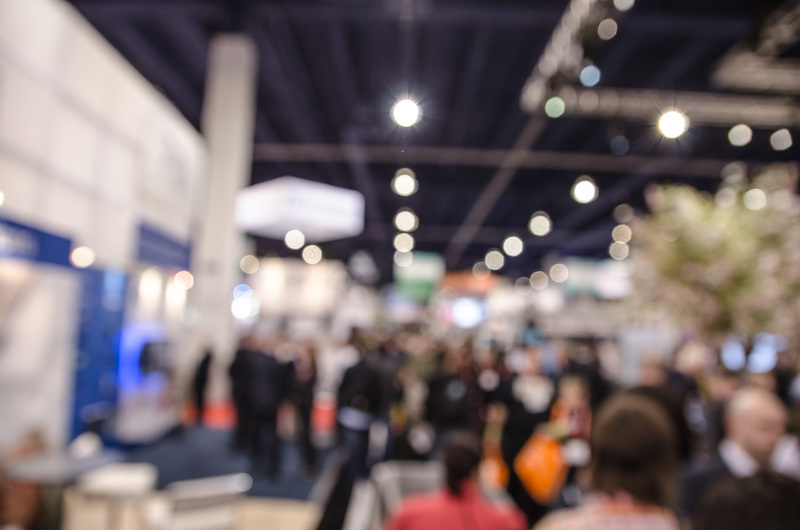 When you return from the show, where do your trade show leads go? A) On a corner of your desk, because you’ve got to catch up on all that real work that was left waiting while you were at the show. B) Into the hands of an eager, pre-assigned team member, who already has the follow-up letter and fulfillment packets ready, and who will quickly enter the leads into your database and forward them to the appropriate sales people, who know they are accountable for following up and reporting the results. 6. What are the most valuable things you get out of trade shows? A) The few leads that were in your territory, the time spent with your best customer, and dinners on the expense account. B) Besides the big pile of sales leads for the team, you get to take the pulse of the industry, learn about new competitive products, and gain a better understanding of your customers. If you selected mostly the B answers that describe proactive trade show marketing practices, and still think trade shows don’t work, then trade shows may actually be a poor marketing medium for your company. But if you answered mostly A’s, then perhaps you’ve realized that trade shows aren’t the problem. Maybe you will begin to consider that there are proven trade show methods that you’ve overlooked, and that it’s finally time to re-tool your trade show program. And make trade shows work for you.